Adobe Systems Incorporated announced Adobe Photoshop Express public beta, a free Rich Internet Application (RIA) available to anyone who wants to store, sort and show off digital photos with eye-catching effects. During the public beta period, Adobe will solicit Photoshop Express user feedback on product features and functionality, which will continue to evolve over time. 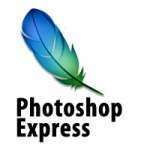 As the newest addition to the Photoshop family line, Photoshop Express has taken much of Adobe’s best image editing technology and made it simple and accessible to a new online audience. 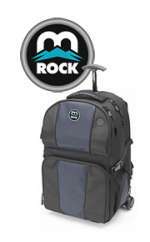 M-ROCK announces the addition of two versatile backpacks, the Zion 523 and the McKinley 524, to its M-ROCK EXTREME line of camera bags, introduced at the PMA Show this week. The Zion 523 has been designed for the outdoors while the McKinley 524 has been designed for the city. Both backpacks come with a single front access flap and can hold a SLR body with a battery pack and up to an eight inch lens attached. There is also room for four to six additional lenses or photo accessories. 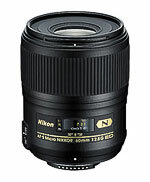 This is a large aperture prime lens with a standard focal length of 50mm, ideal for all digital SLR cameras. This lens has superior peripheral brightness even at the maximum aperture and corrects a possible sagittal coma flare. This lens is perfectly suited for a wide range of subjects enabling outstanding, sharply defined images against a nicely blurred background. Panasonic today announces the LUMIX DMC-FX500, the company’s first digital camera with a 3-inch touch-screen LCD – also featuring a 25mm ultra-wide-angle Leica DC lens, 5x optical zoom and 10.1 megapixels. With a dual control system using both touch-screen and joystick operation, the ability to record High Definition (HD) video and advanced Intelligent Auto technologies, the FX500 packs innovative features and intuitive design, helping consumers enrich the digital photography experience and take better photos. 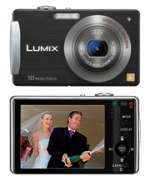 Panasonic announced a new firmware update available for its interchangeable LEICA D SUMMILUX 25mm/ F1.4 ASPH. (L-X025) lens, which is compatible with the Four Thirds standard digital single-lens reflex (SLR) cameras, including Panasonic’s LUMIX DMC-L10*. With the firmware update, the LEICA D SUMMILUX 25mm/ F1.4 ASPH. (L-X025) adds contrast auto focus (AF) to the single focal length lens, making it more suitable for taking snapshots and portraits where the photo subject is able to stand out due to an intentional out-of-focus background. Pentax Imaging Company has announced the Pentax Optio V20 compact digital camera with a 5X zoom lens, 8.0 megapixels, and a generous 3.0 inch LCD monitor. Ultra-slim and stylish in design, this latest Pentax compact digital camera makes it easy to capture and to view images. Think Tank Photo released three new or completely upgraded rolling bags that provide more protection and security for transporting heavy and expensive photography gear. All three rollers feature advanced security features, such as front and back cable locks, a TSA lock, and the Security Plate "Lost and Found" service. Whether capturing spur-of-the moment inspirations or momentous family occasions, Canon U.S.A.'s newest additions to the PowerShot line-up: SD890 IS, SD790 IS and SD770 IS Digital ELPH cameras continue to provide intelligent, easy-to-use features, resulting in fantastic photos. Integrated Canon technologies such as Motion Detection Technology, Optical Image Stabilization, Genuine Canon Face Detection Technology, and Canon's proprietary DIGIC III imaging processor, along with the inherent style of the ELPH line; make them the ideal accessory for capturing a night out on the town or an intimate social gathering. Think Tank Photo announces the release of its new “Skin” series. These modular bags, which are designed to fit on Think Tank Photo belts or regular belts, are very thin and flexible and lay flat when empty, conforming to photographers’ gear when full. Their ability to be compressed when empty frees up valuable space in photographers’ cases, especially when in transit. Designed to make photo-viewing crystal clear, Sony today announced a new line of digital cameras featuring a high-definition component output. These new Cyber-shot W-series cameras offer direct connection to an HDTV, which is ideal for integrating full 1080 HD photo-viewing into a home theater. Sony announced the latest addition to its high-zoom camera line, the 9.1-megapixel Cyber-shot DSC-H50 digital camera. It is the ideal choice for people looking for high zoom, high-resolution and speed. This new model utilizes a powerful Carl Zeiss 15x optical zoom lens with Super SteadyShot optical image stabilization to capture action at a distance. Nikon is pleased to introduce the COOLPIX L18, a new addition to its Life Series line of digital cameras. Compact and easy-to-use, the L18 is the ideal camera for consumers looking to capture life’s memories at an affordable price. The L18 has 8 effective megapixels for generating superior quality prints, a 3x Zoom-NIKKOR lens for creative compositional freedom, an incredibly huge and bright 3.0-inch LCD screen for sharing images, and Anti-shake AE for images with outstanding clarity. 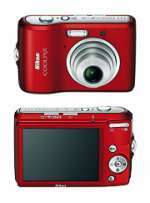 Available nationwide starting in March, the COOLPIX L18 will be offered in Navy and Ruby Red. Nikon introduced the new D60 digital SLR camera, which provides consumers with stunning picture quality and versatility in an easy-to-use, compact camera design. The D60 joins Nikon’s award-winning line of D-series digital SLR cameras and shares a form factor similar to the D40 – Nikon’s smallest D-SLR camera ever. Buffalo Technology has upgraded its full range of USB Flash drives to include its high-performance TurboUSB technology, which improves read speeds by up to 22%. The Super High Speed flash drive (Type-R), available in capacities of up to 16GB for storing and transporting all types of files, offers actual performance of up to 38MB/sec. 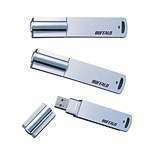 The High Speed flash drive (Type-S) offers 32MB/sec. 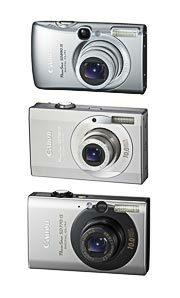 Low-cost models, the Compact Retractable (Type-S) and Compact (Type-K) models, offering 24MB/sec, will also be available. 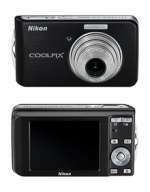 Nikon is pleased to announce a new addition to its Style Series line of digital cameras: the COOLPIX S520. This slim, ergonomic camera boasts a streamlined profile, 8 effective megapixels, a 3x Zoom-NIKKOR lens, Optical Vibration Reduction (VR) Image Stabilization, and a quality-crafted aluminum body. Style-conscious consumers will love the S520 design, in addition to the latest Nikon technologies that make this camera compact, easy to use, and capable of capturing breath-taking images. Nikon introduced the new AF-S Micro NIKKOR 60mm f/2.8G ED lens engineered specifically for extreme close-up photography, and perfectly suited for general imaging as well. The new AF-S Micro NIKKOR 60mm f/2.8G ED lens can focus at a distance of approximately 0.185m (.6 ft.) at its closest, and allows photographers to capture breathtaking close-up photography with reproduction ratios up to 1:1 (life-size).